This image was take on South Main Street in Providence circa 1950’s. Mural ads like this really added character and flare to the buildings back then. It was a subtle outdoor sign that was large enough to get the message across, but not an eyesore. 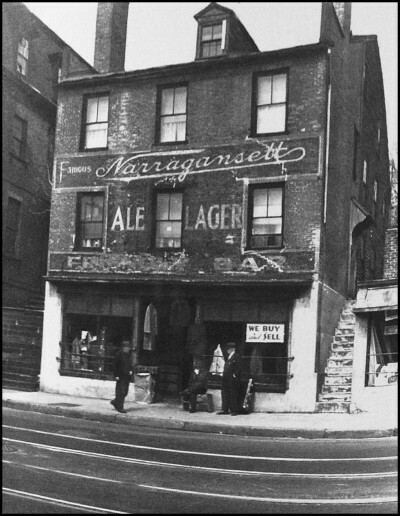 The photo is old, so you really can’t make out the bar, but this building is still standing today. Believe it’s a retail shop now that doesn’t sell ‘Gansett. So the mural is gone sadly. If you love seeing throwback images like this, then check out our Tumblr page at HaveAGansett.Tumblr.Com.